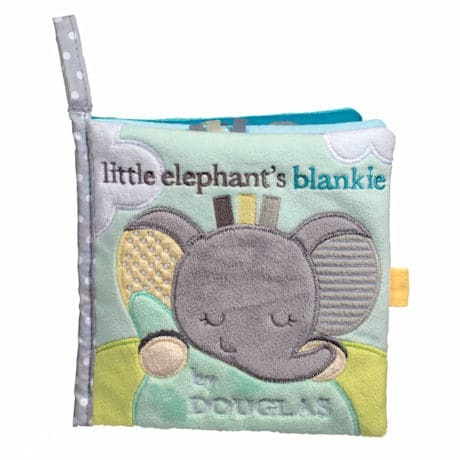 Our darling Little Elephant's Blankie Soft Book (6" square, with Velcro closure) offers interactive surprises for the tiniest of sleepyheads: a crinkly page to squeeze, a rattle to shake, fuzzy flaps to lift, and a mirror to gaze into. And our irresistibly huggable Baby Elephant Plush (just over a foot tall) adds even more love and joy to story time! For ages infant and up.